We have spent over 20 years improving and refining what we build to offer our customers. Combining quality materials and craftsmanship to produce a pack equipment that will be durable, easy to use, and look good at the same time. Our Decker trees feature cottonwood OPR style bars with manganese bronze arches. You may have your choice of either traditional style round arch or new style tall arch. We have 4 different patterns available for our Sawbucks, Humane style, Horse Tehama, Mule Tehama, and Burro tree. The Horse Tehama is our most popular style and will fit many mules as well. We also have the adjustable tree available as an extra charge option. New and Improved design. 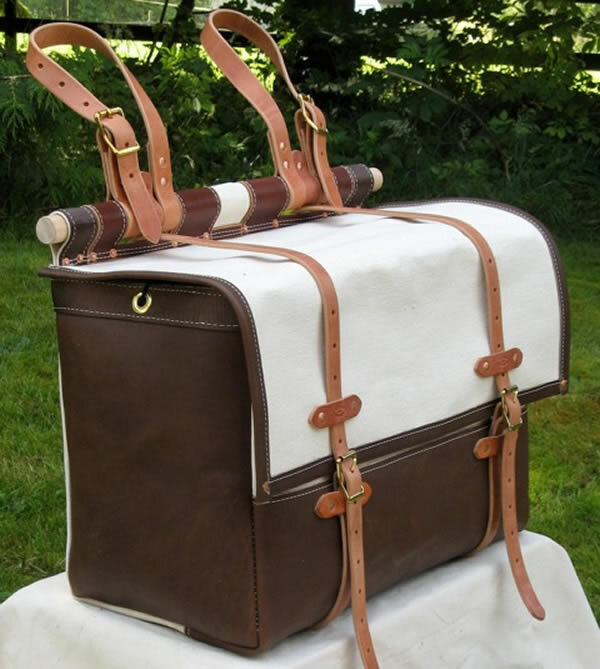 This is our most popular style of Alforjas Bag and we have improved our design based on customer feedback. 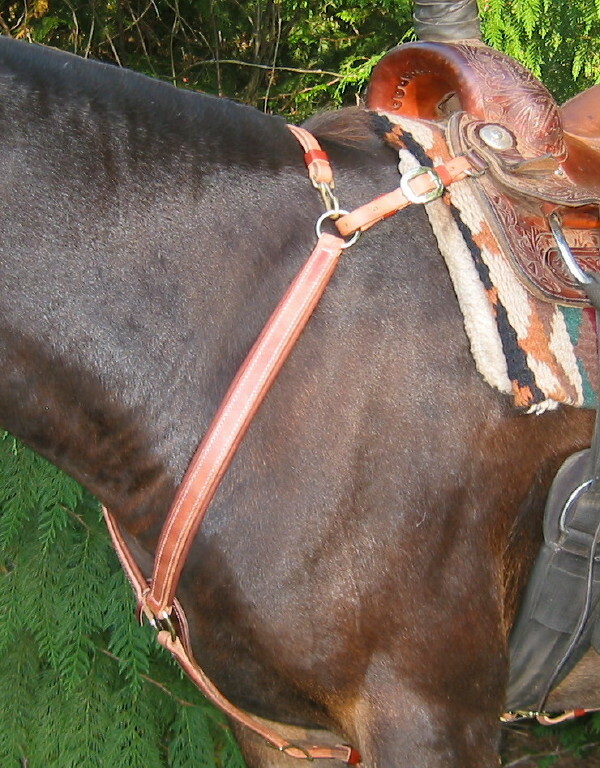 Our trail breast collar has become our most popular style for the great fit it provides on a variety of animals. 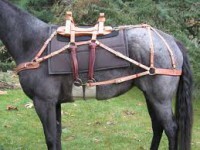 It works especially well on mules because you can adjust the center ring low enough to clear the windpipe yet keep the side pieces from riding too low across the shoulder. 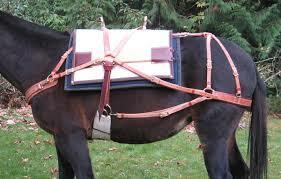 It also works well on gaited animals for freeing up the shoulder. 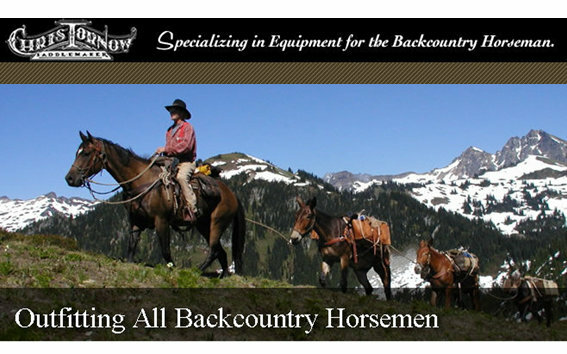 Chris Tornow Saddles & Pack Equipment where we “Specialize in Equipment for the Backcountry Horseman.” Pack equipment is not a sideline for us, it is the focus of our business. For over 20 years we have worked to refine and improve what we have to offer, using our own experience and feedback from our customers. Whether you ride strictly for enjoyment or make your living in the backcountry, functional & reliable equipment can enhance that experience. And it sure doesn’t hurt if it looks good, too. We want to be a part of helping you enjoy your backcountry experience by providing equipment you can count on to do the job. 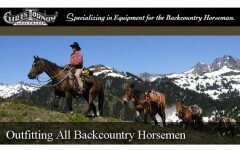 Some of what you will find on our website when viewing our backcountry catalog. If you are in the Arlington area and would like to stop by the shop to see our gear in person we would love to have you visit. Give us a call or email.